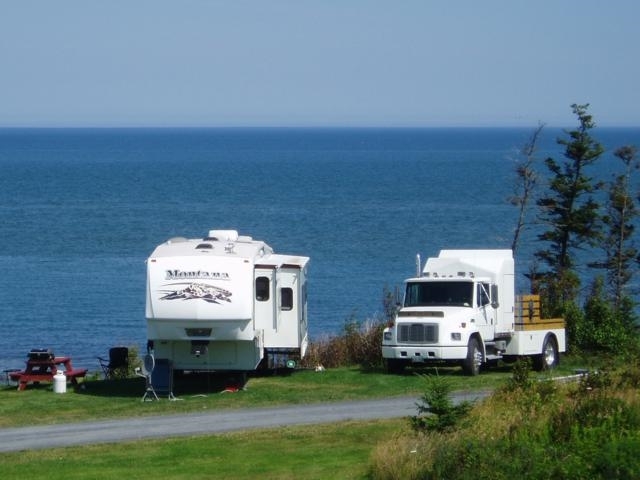 Site #14 is a Premium Waterfront full-service site which will accommodate vehicles up to 34 feet in length, and allows a variety of parking options. 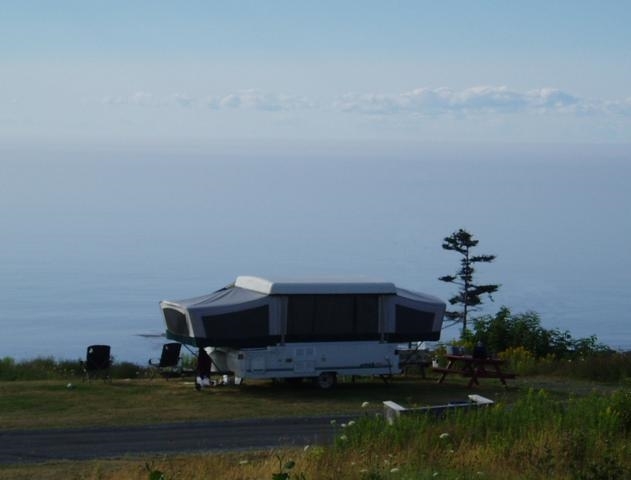 This spacious site faces West over the Bay of Fundy, providing unobstructed views of the sun setting into the ocean. 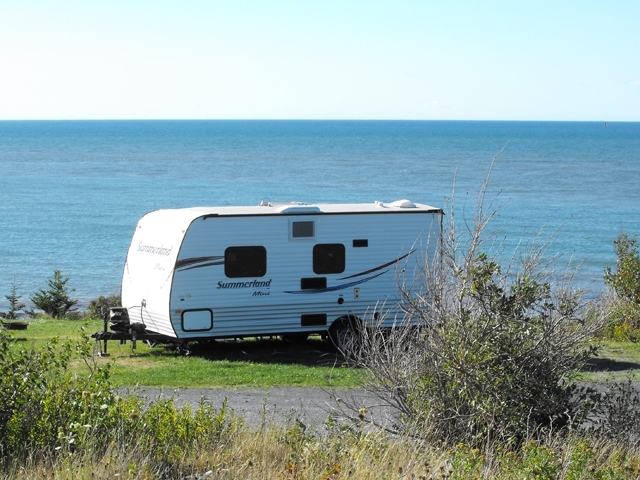 Facing a large grassy lawn sloping to the shore, the site is equipped with two power circuits (30 amp each), a picnic table and fire ring.